Could your business afford for your refrigeration equipment to stop working and not be able to be fixed? The use of virgin R22 and the use of recycled and/or reclaimed gas became prohibited on 1st January 2015. Best options for its replacement depend on a number of factors including the age and state of your equipment. If your equipment isn’t too old and has been well maintained, you could look at decanting the R22 from your existing system, then converting the system to make it compatible with a replacement refrigerant. While this offers businesses a reduced capital outlay compared to full replacement, the downside could be that no replacement refrigerants offer an exact match to the thermal properties of R22 which could result in reduced capacity and/or efficiency. 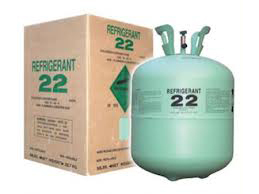 The second option is to replace your R22 equipment with a new system which is compatible with modern refrigerants. Obvious benefits include a significant reduction in energy consumption from the use of modern equipment as well as reduced maintenance costs and an increased service life over a refrigerant conversion, protecting you from increased breakdowns and potential impact on product quality or stock loss. While this option means a larger initial capital outlay, this can be offset by the benefits. As well as complying with the legal requirements of the legislation, replacing tired and inefficient equipment can have a major benefit on your bottom line – some of our recent installations have had a payback period of less than 2 years based on the energy savings received; some customers have saved up to 25% off their energy bills. Also for some of our customers in the UK, we have been able to help secure substantial grant funding for the replacement and renewal of outdated plant. We have already replaced R22 plant for a number of customers including Glenrath Farms, Gate Gourmet, Marine Harvest and the Sheraton Grand Hotel & Spa in Edinburgh.